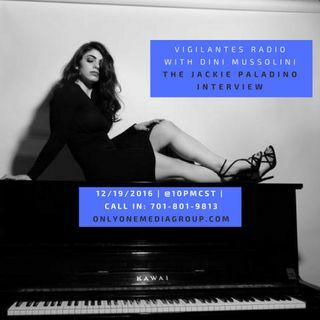 Born in New York and raised in central New Jersey, Jackie Paladino is a 20-year-old singer-songwriter whose voice has been compared to the likes of Corinne Bailey Rae, Billie Holiday, and Adele. She was introduced to the piano at the age of six, and developed her ... Maggiori informazioni understanding of storytelling and performance through off-Broadway theatre, dance competitions, and musical vocational school. It wasn’t until Jackie returned to her birth state to attend the music theatre program at NYU’s Tisch School of the Arts that she discovered her true calling. “When everyone else was memorizing lines to songs and stories, I was writing my own stories through song, belting out the tunes of Ella Fitzgerald, Duffy, and Alicia Keys along the way.” Always an avid reader of poetry, she found herself delving deeply into the works of Leonard Cohen and Bob Dylan, entranced by the precision and mystery of their word choice. As an artist, Ms. Paladino seeks to combine this sense of lyric perfectionism and her urgency to “mold the ugly into something beautiful” along with the power and soul of her favorite songstresses.